Description: Somethin' Else label reissue series of great jazz albums from late 1980s to early 1990s! Winner of 1993 Swing Journal Jazz Disc Award (Vocal Category)! 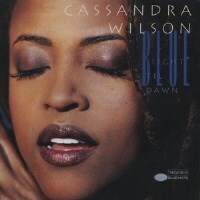 Cassandra Wilson's debut album for Blue Note was a milestone in which she boldly created her own path, a unique, dark-hued blend of folk, blues and jazz that was completely new and mesmerizing in 1993. This well-recorded album is now available on superior-sounding SHM-CD which should delight audiophiles. Also, this 2013 edition includes a single version of "You Don't Know What Love Is" as a bonus track. Recorded at Sear Sound, Sound On Sound, Greene St. Studios and RPM. Originally released in 1993. SHM-CD uses an advanced polycarbonate material for superior sound quality and is compatible with all CD players.